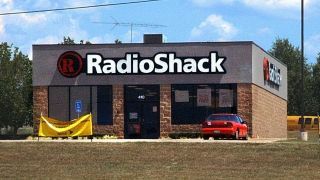 RadioShack is selling off its various assets as part of its bankruptcy proceedings, and some of the retailer's former customers won't like what those assets may include. Among the trademarks, store locations and physical products in RadioShack's most recent (and final) auction were the emails, home addresses and phone numbers of over 100 million customers, reports Bloomberg. The auction has already ended, but the FTC, attorneys general for Texas and Tennessee, and even AT&T - which apparently believes it should have some say in where the data goes - are trying to stop the sale from going through. The highest bidder was hedge fund and RadioShack shareholder Standard General, which could pass your personal data on to another company if it's unable to keep the retailer operating. But Texas law prohibits companies from violating their own privacy policies, which in RadioShack's case promised not to sell its customers' data to other companies. And AT&T says it worked with the retailer to market certain phones and build up a database of AT&T customer information, and that the data should be destroyed - likely so it won't wind up in a competitor's hands. Depending how the federal bankruptcy court rules, the data could be removed from the sale and the bids recalculated to omit it. It's unclear whether the same policy might be applied here, but it will be interesting to see either way.